This year, as a family, we have decided to explore more of our beautiful country. We have been to Ottawa and Gatineau but other than that as a family we haven’t traveled much throughout our province and neighbouring provinces. We really want to change this starting with a trip to the beautiful areas of Montreal and Quebec City. 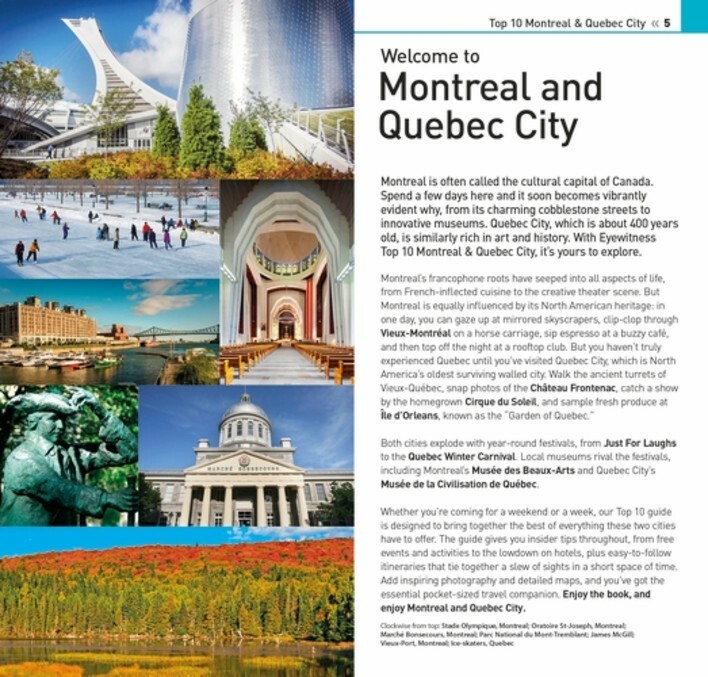 DK Eyewitness Travel Guide: Top 10 Montreal & Quebec City covers all the region’s major sights and attractions in easy-to-use “top 10” lists that help you plan the vacation that’s right for you. Brand-new itineraries help you plan your trip to these areas of Montreal and Quebec City. A free pull-out map is marked with sights from the guidebook and includes a street index and a metro map. The DK Eyewitness Travel guides are the perfect books to help you not only plan out your trip but to also carry with you while you are traveling. The book is slim and fits perfectly into a purse or a backpack. You will only need this book when planning and visiting in Montreal and Quebec City. 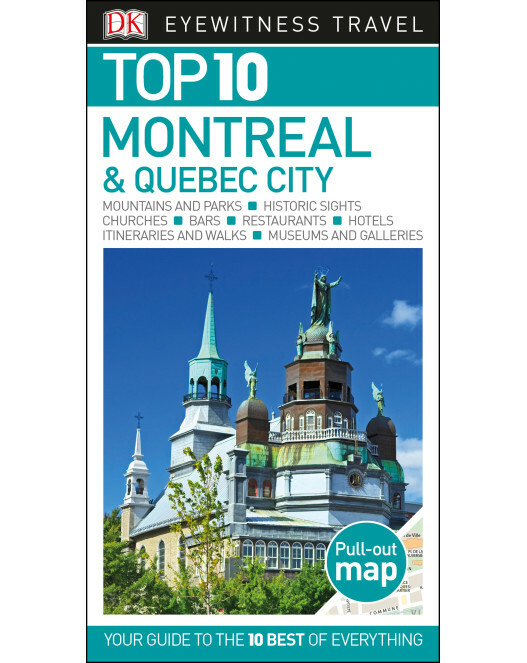 This book itself is colour coded and broken down into the following sections: Top 10 Montreal and Quebec City Highlights, The Top 10 of Everything, Montreal and Quebec City Area by Area and Streetsmart. You can find moments in history, historic sites, parks, performing arts and even children’s attractions and festivals and events. The Top 10 highlights helps you pinpoint the main stops you should make if you are limited with your time. I would absolutely love to visit the Basilique Notre-Dame and Musée Pointe á Callière. Each section also contains ten important facts and must see at each location, for example at the Basilique Notre-Dame they explain about the stained glass windows and Daudelin sculpture. I really enjoyed the Streetsmart section which contains important information like how to get in and out of the city, getting around, hotels, customs as well as containing phone numbers, addresses for each location. There is even a useful phrases at the back of the book in case of emergencies and basic conversation! This guidebook is a definite must have for those traveling or are planning to travel to Montreal and Quebec City. You can purchase a copy of this book on DK Canada. This entry was posted in book review, DK Canada, travel, travel tips.